If you’re searching for a natural, chemical-free alternative therapy, essential oils may be the answer. Essential oils are pure extracts from flowers, seeds, trees, and other raw plant materials, and have been used for thousands of years for maintaining health and healing. Since trying essential oils almost a year ago, they have become a staple in my daily wellness routine. As essential oils gain popularity, people are left wondering: how exactly do I use them? While there are countless ways to use essential oils, these are just a few of my favorite. Air diffusion is my #1 favorite way to use essential oils, and my diffuser is something I can’t live without (I even have a mini diffuser for travel). Diffusers are incredibly easy to use, and all you need is water and your essential oil. Through air diffusion, the essential oil releases its fragrance and cleanses the air. If you don’t own a diffuser, you could also add a few drops to your pillows or bedding. I like to do this with lavender and chamomile, as it creates the perfect therapeutic aromatherapy experience for falling asleep. Because essential oils have such a high potency, you’ll need to use a carrier oil (such as coconut oil, almond oil, etc.) when applying directly to your skin. Essential oils are 50-70x more potent than herbs! I learned this the hard way when I topically applied 100% peppermint oil onto my body. Long story short: my skin was burning for the rest of the day. In combination with a carrier oil, one of the best places to apply essential oils is the bottom of your feet, as the absorption is quicker compared to anywhere else on your body; therefore, the essential oil can enter your bloodstream faster. Since essential oil is derived from natural plants, many are safe to consume orally. Check if the oil is GRAS (Generally Regarded as Safe) by the FDA before ingesting it. You should treat essential oils like an antibiotic, as they are extremely concentrated and the healing effects are stronger when applied internally. As always, essential oils should be diluted properly in order for them to work safe and effectively. An essential oil that I frequently consume is lemon. In the morning, I like adding a few drops of lemon essential oil to my water along with a spoonful of honey. Adding essential oils to bath water is such a simple method that is guaranteed to leave you relaxed. Not only will the essential oil soak into your skin, but as the water evaporates, you’ll also feel the effects of aromatherapy. It’s important to remember that even though you have a tub full of water, you still need to dilute the essential oil. As a general rule of thumb, I use 5 drops of essential oil to a tablespoon of carrier oil (for example: 5 drops of ylang ylang and one tablespoon of jojoba oil). 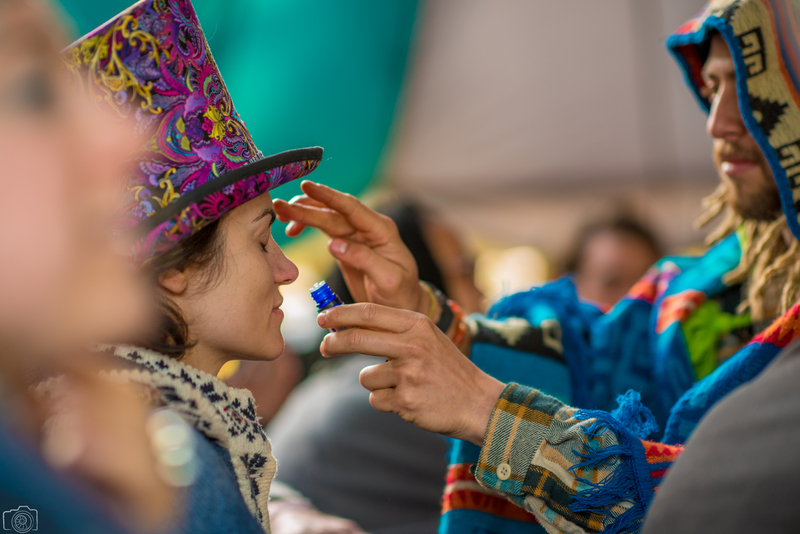 Our friends at Essential Oil Wizardry are Lucidity’s resident essential oil wizards, you can usually find them near the I AM Healing space at Lucidity Festival and they have even created a custom blend for the Lucid Fam, Lucidioil, available in the Lucidity Artifacts store. I hope that you now have a few new ideas on how to incorporate essential oils into your self-care routine! 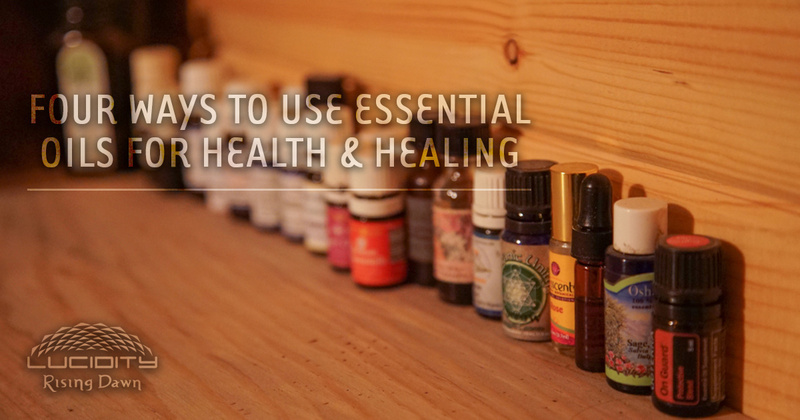 Let me know in the comments below: how do you use essential oils for health and healing?